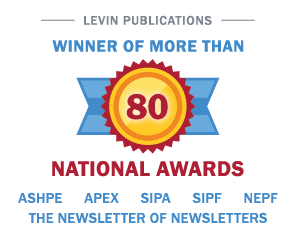 The results of the hospital merger and acquisition market for 2001 and prior years, reported in The Health Care Acquisition Report, 8th Edition, are now available from Irving Levin Associates. Although the number of deals announced declined by 3% from 86 transactions in 2000 to 83 in 2001, the number of beds acquired declined by 9% from 20,006 to 18,276 and the number of hospitals declined by 11% from 132 to 118, the Hospital sector still recorded the largest number of deals in any single sector of the health care services industry. It comes as no surprise that the largest component of the health care delivery system would command the greatest attention in the M&A market. The current level of activity has plunged from three and four years ago, when almost three times as many hospitals changed hands each year. That was the end of a period of rapid growth in several of the large, publicly traded hospital chains, which eventually spawned other publicly traded hospital companies also participating in the M&A market. However, as shown in the chart on the front page, the multiples used to value hospital transactions did not all decline over that same period. Notably, the price to EBITDA multiples, generally considered the most important ones by industry participants, have in recent years remained above their 1997 levels. Moreover, in three of the past four years, the average price per bed has remained above the comparable 1997 figure ($222,116); by 2001, the figure had settled at $255,265. These multiples suggest that while the universe of facilities available for acquisition has indeed shrunk, competition for those that did make it to market, mostly in the rural hospital niche, has remained strong. During 2001, hospital management companies focused on the rural market were among the most active acquirers: Community Health Systems (NYSE: CYH) acquired eight hospitals, Health Management Associates (NYSE: HMA) acquired seven and Province Healthcare (NASDAQ: PRHC) acquired six. The larger companies were less active, by and large contenting themselves with honing their portfolios: Tenet Healthcare (NYSE: THC) acquired six facilities, Universal Health Services (NYSE: UHS) acquired five and HCA (NYSE: HCA), once the 800-pound gorilla of the acquisition market, acquired three. The publicly traded chains do not tell the whole story, however. Far from it. The hospital M&A market has seen the robust participation of nonprofit hospitals over the past five years, both as targets and as acquirers. The two largest deals for 2001, in terms of announced price, involved two Catholic providers: Daughters of Charity Health System paid $403 million for seven of Catholic Health West’s hospitals and Ascension Health paid $341 million for the four hospitals of Baptist Health. The chart opposite indicates that in four of the five years from 1997 to 2001, nonprofit hospitals accounted for 65% or better of the total number of facilities acquired. The one deviation from this pattern, recorded in 2000, involved Triad Hospitals’ (NASDAQ: TRIH) $2.4 billion acquisition of publicly traded Quorum Health Group, with 22 owned and 223 managed facilities. Given that the number of nonprofit hospitals still outstrips the number of for-profits, the continued participation of nonprofit providers in the market is virtually guaranteed. The overall decline in the hospital M&A market over the past five years may be attributed to several factors. The Balanced Budget Act of 1997 was partly responsible, as Medicare reimbursement rates were cut. Even so, several of the financial rationales driving mergers of the past, such as economies of scale and economic clout with managed care organizations, failed to materialize after many mergers. As a result, a number of these deals were unwound and hospitals executives began to overhaul their acquisition and growth strategies. Further analysis and details of the 2001 M&A market for hospitals, managed care organizations, behavioral health care providers, physician medical groups and rehabilitation companies are presented in the eighth edition of Irving Levin Associates’ annual publication, The Health Care Acquisition Report.